I successfully defended my thesis, "Modeling High-Dimensional Audio Sequences with Recurrent Neural Networks" (pdf). I am now a Software Engineer at Google in Mountain View, CA. 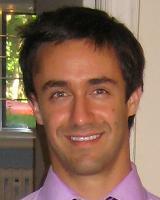 I am a PhD student at University of Montréal, working in the LISA Lab with Profs. Yoshua Bengio and Pascal Vincent. My research focuses on machine learning, neural networks and music information retrieval. I have devised sequential models of polyphonic music that can learn harmonic and rhythmic probabilistic rules from polyphonic music scores, substantially better than other existing methods . Such models have applications in automatic music transcription, algorithmic accompaniment, melody harmonization and audio music denoising. The objective of music transcription is to determine the underlying notes of a polyphonic audio signal (see Figure below). Signal processing techniques achieve an accuracy of about 65% when the polyphony is higher than 4. Human experts approach this difficult problem by giving importance to what they expect to hear rather than exclusively to what is present in the actual signal. The ability to fill in the blanks, also useful in speech recognition to favor words that make sense in the current context, is particularly important in noisy conditions. 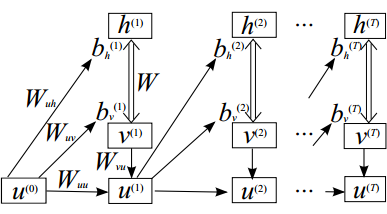 We have shown that an RNN-based musical language model can provide such cues and significantly improves state-of-the-art transcription [5, 8]. I wrote some general purpose code for painless Hessian-free optimization in Theano, targeted for machine learning. • It includes Gauss-Newton matrix products, proper handling of mini-batches, preconditioning, damping and other heuristics. • HF optimization works great for RNNs . I created a tutorial on how to train an RNN-RBM on symbolic sequences of polyphonic music and use it to generate sample sequences. Example code is provided.